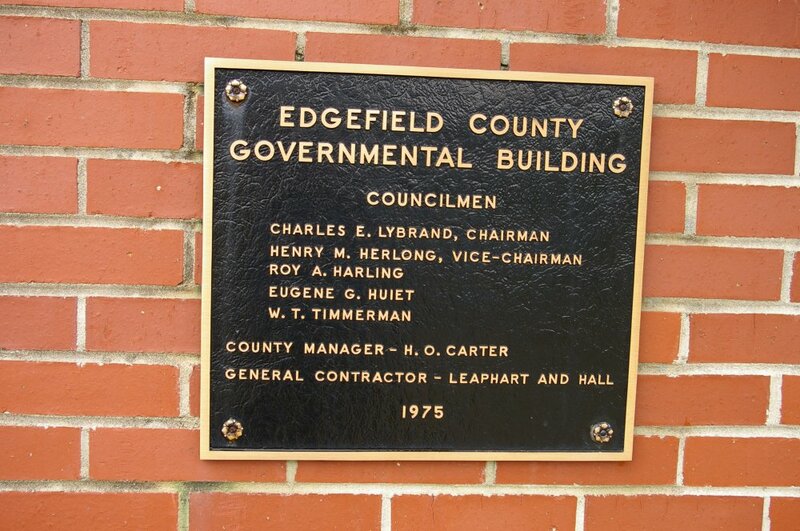 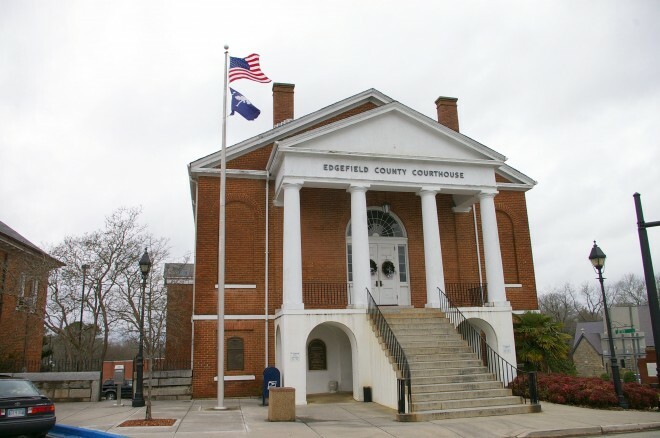 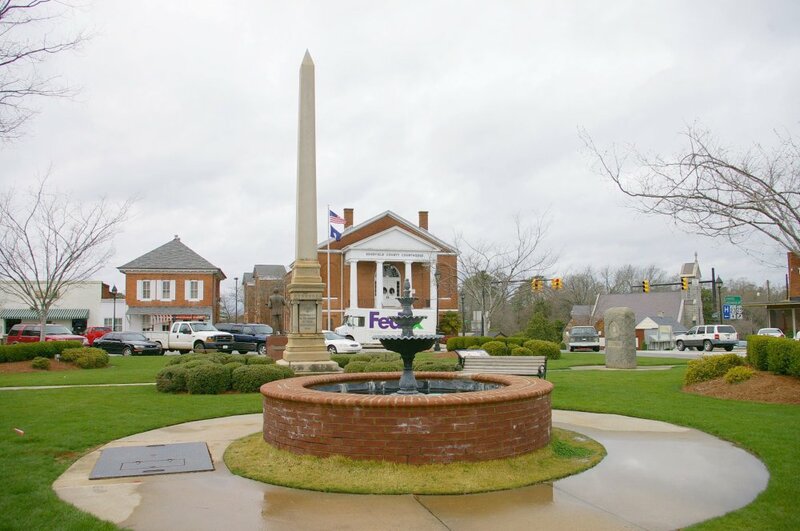 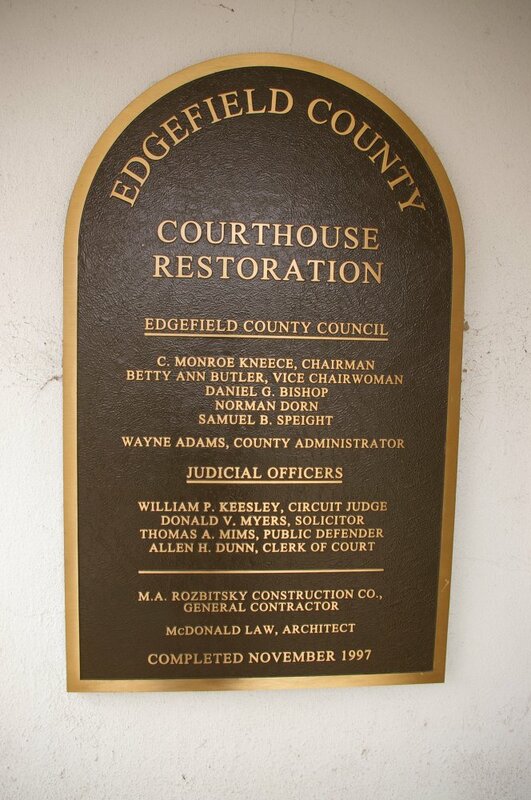 Edgefield County is named for the fact that it was located on the edge of the State, between the Savannah River and the unsettled lands. 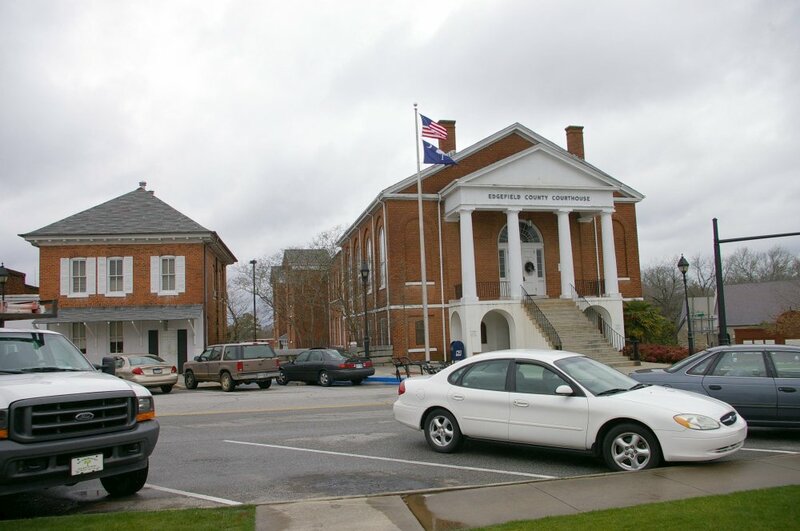 Description: The building faces east and is a two story orange-red colored brick and concrete structure. 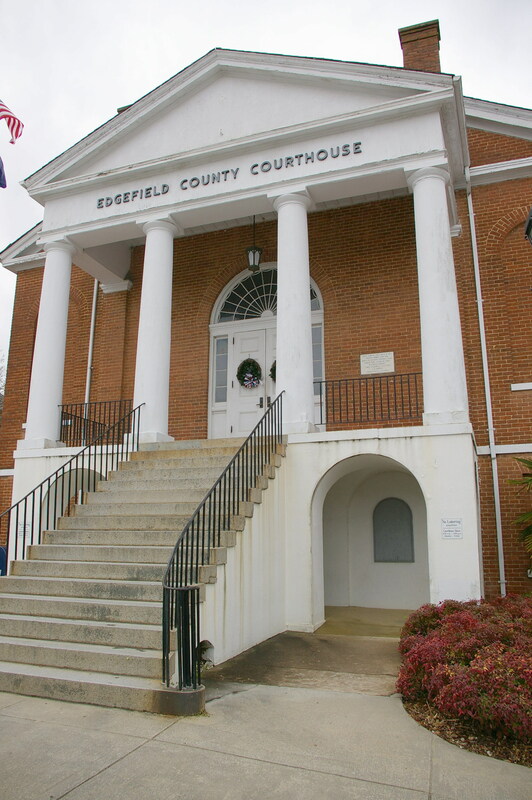 The building has a portico on the east front with four large white columns rising to a pediment and peaked roof behind. 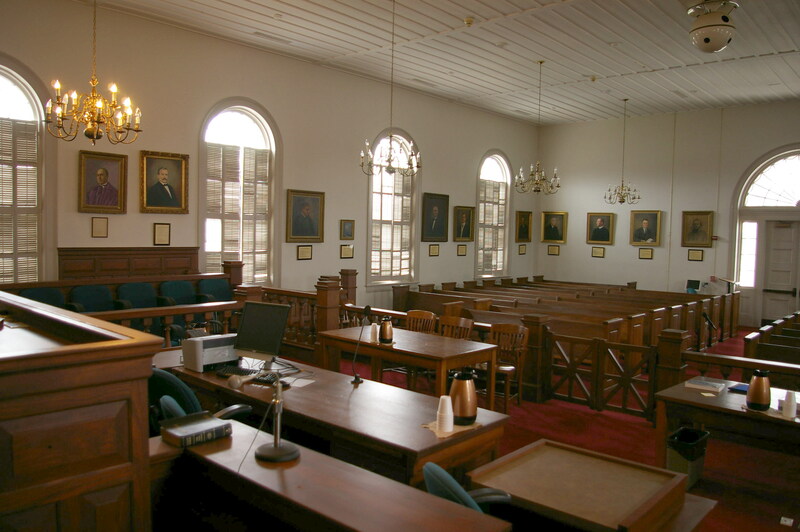 The lower part of portico has arches with a staircase rising in the centre to the main entrance which is arched and leads into the large courtroom at the east end of the building. The building was enlarged in 1933.The building was renovated in 1997. 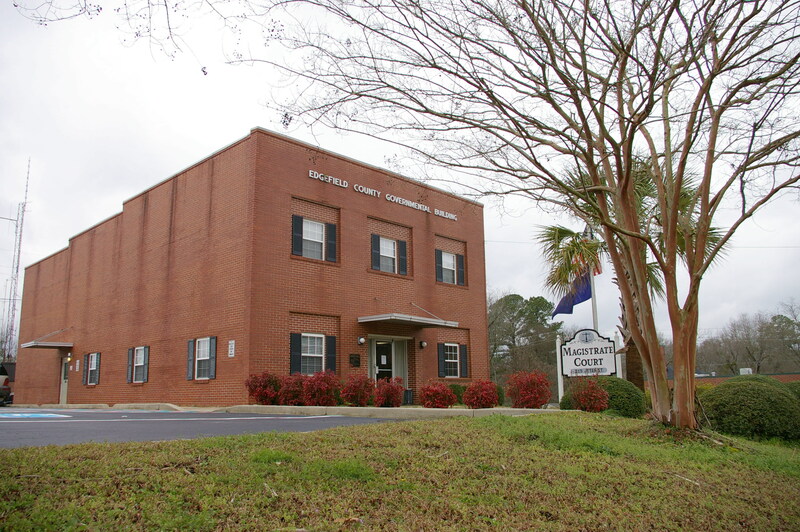 The architect was McDonald Law and the contractor was M A Rozbitsky Construction Company. 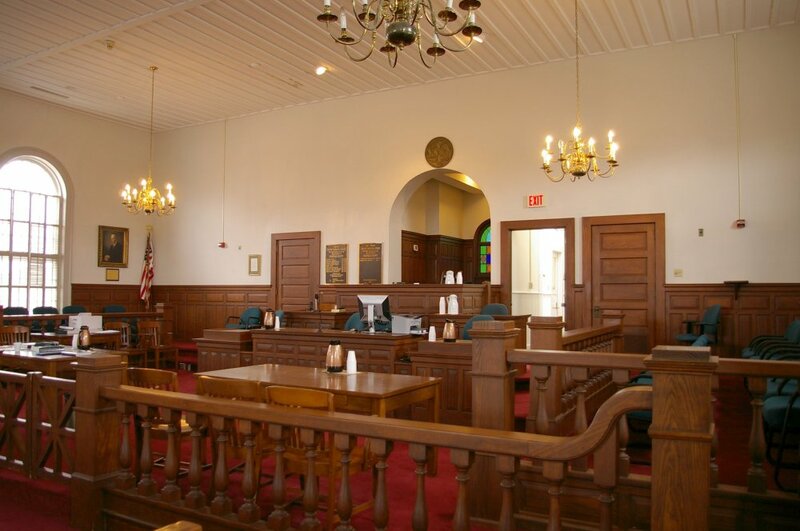 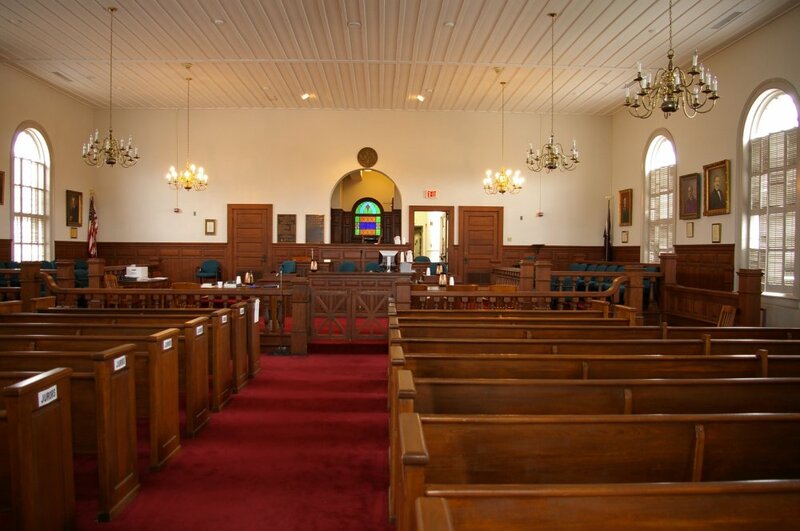 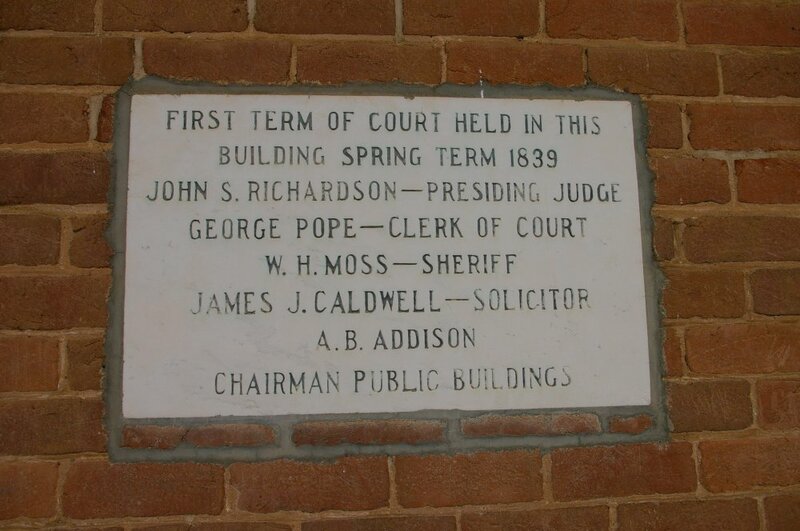 See: The architect, Robert Mills of Charleston, designed courthouses in Fairfield County, Georgetown County, Horry County, Lancaster County, Marion County and Williamsburg County. 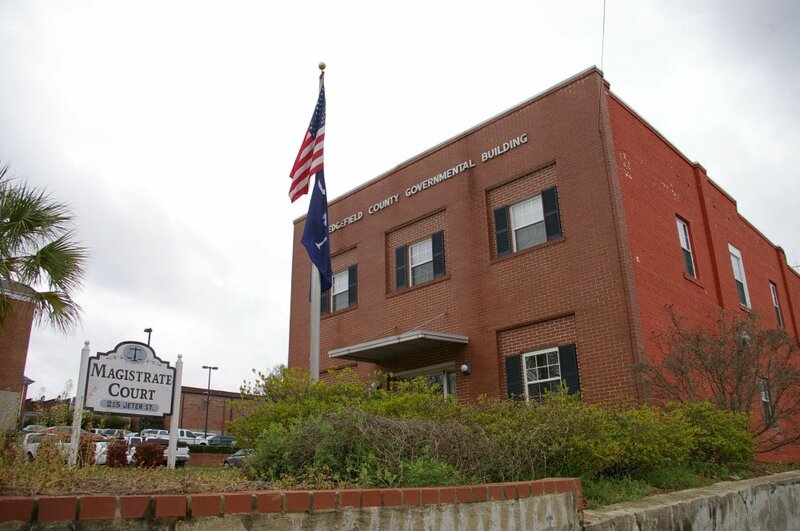 Description: The building faces east and is a two story red colored brick and concrete structure.